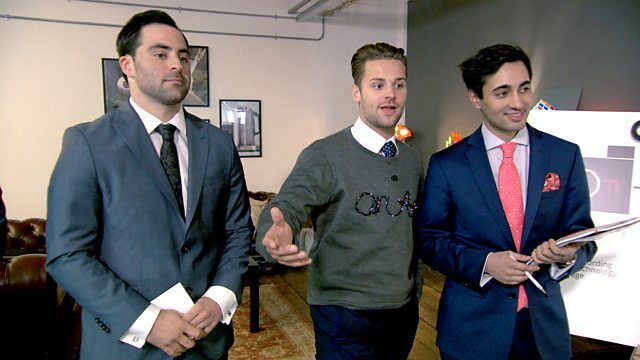 The candidates are summoned to Imperial College London, where Lord Sugar tells them that their next task is to design a piece of wearable technology. The candidates are summoned to Imperial College London, where Lord Sugar tells them that their next task is to design a piece of wearable technology. They'll need to combine up-to-date fashion with cutting-edge kit, before producing prototypes and pitching their products to retailers. For the second task running, it's boys versus girls. On sales day the teams have appointments with some of the country's biggest retailers, but it's touch and go as to whether one team will have a product at all and a slip of the tongue threatens to tear a pitch apart. In the boardroom Lord Sugar has a surprise in store as the candidates find out he's in no mood for excuses - but who will hear the crushing phrase: 'You're fired! '?